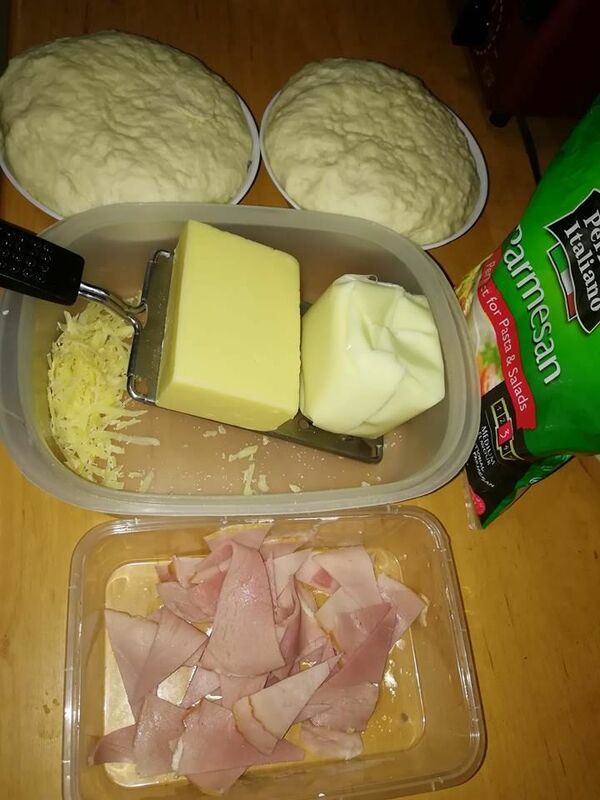 in response to a conversation we have been having with MickyG i figured i will post a new topic on my wife's method of making pizza at home so he along with anyone else interested can give it a whirl this holiday season. 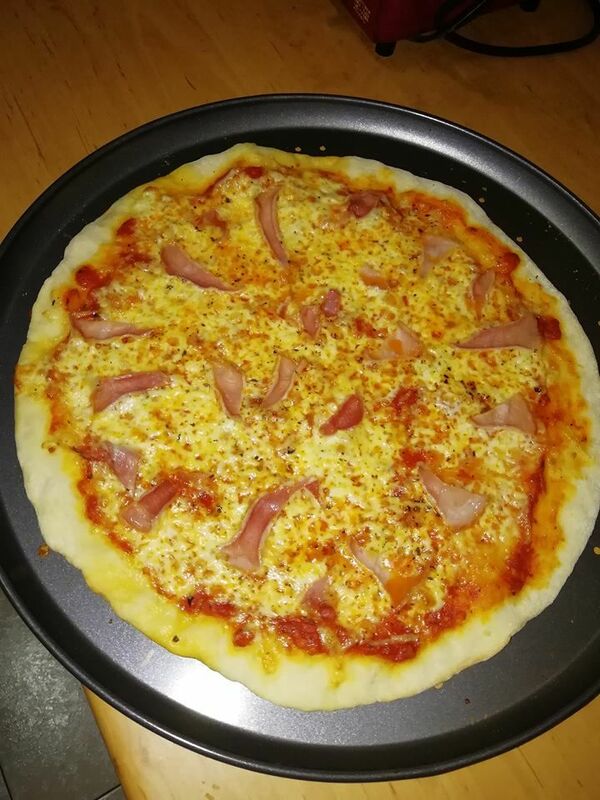 SIMPLE PIZZA DOUGH RECIPE (makes 2 large regular pizza crust). You need to gather up 3 cups bread flour (first class flour) 1 tablespoon instant dry yeast 1/2 tablespoon salt 1/2 tablespoon brown sugar 1 tablespoon olive oil 1 cup lukewarm water. How to: In a mixing bowl dissolve yeast, salt and sugar then add olive oil. Slowly then add the flour, 1 cup at a time mixing to form the dough. 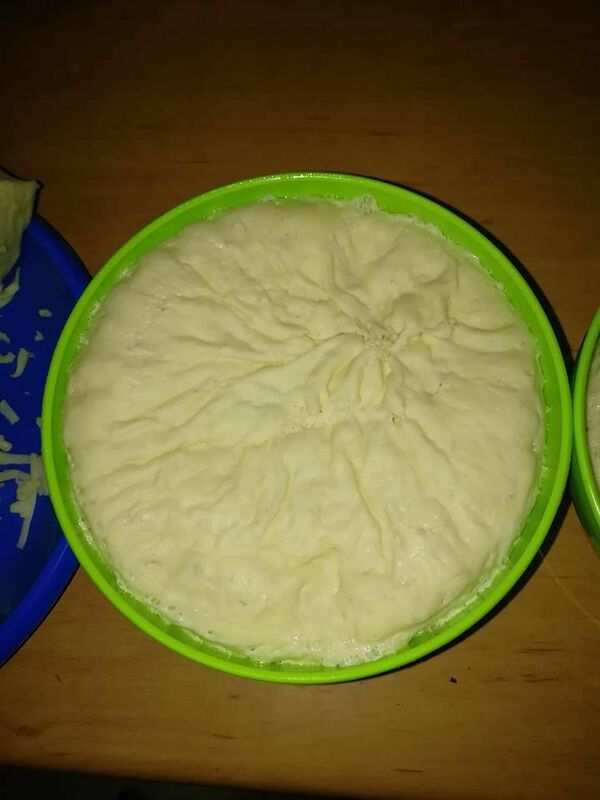 Divide dough and make 2 balls and place it in a greased bowl, covered with damp towel and let it rise for 2 hours or as soon as the dough doubled in size. 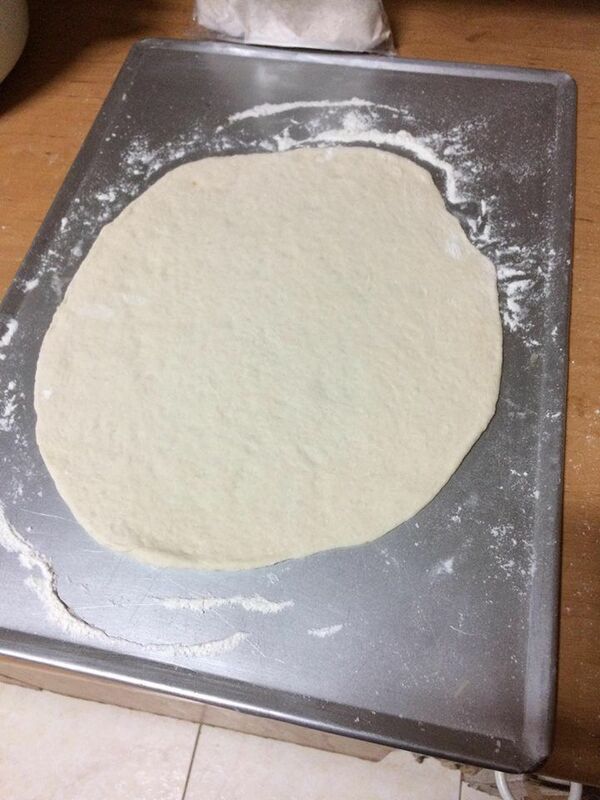 Using rolling pin or by hand, form a pizza crust on a floured board. Add toppings and into the preheated oven for 12-15 minutes. Note: Adjust your cooking time according to temperature. I set my temp at 360. My oven is only max 370'C. 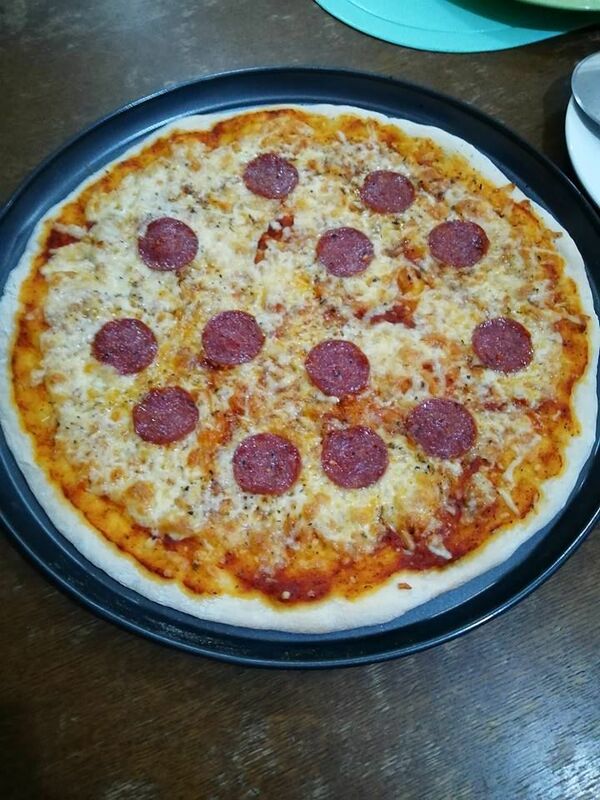 I used to use a baking stone but found it tends to keep cooking the pizza after removing from the oven so now I use a simple pan. some pics and finished products. 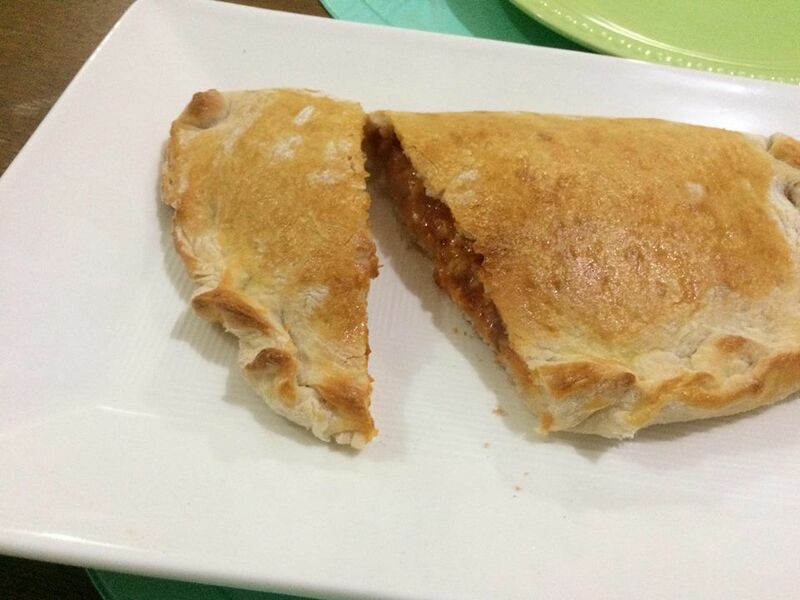 works equally well for calzones too. i see the mozarella and parmesan is the third one cheddar cheese? 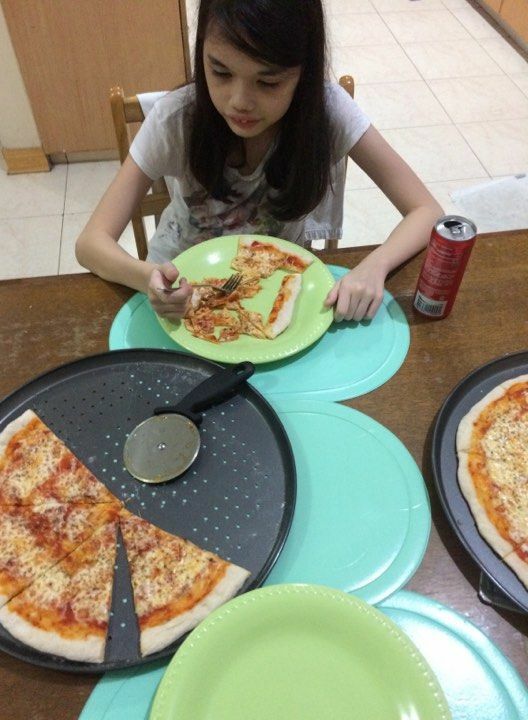 hiya Micky good morning i just asked her and yes it is indeed cheddar and she follows the cheese mixture of the traditional tri-state napolitano pizza makers. 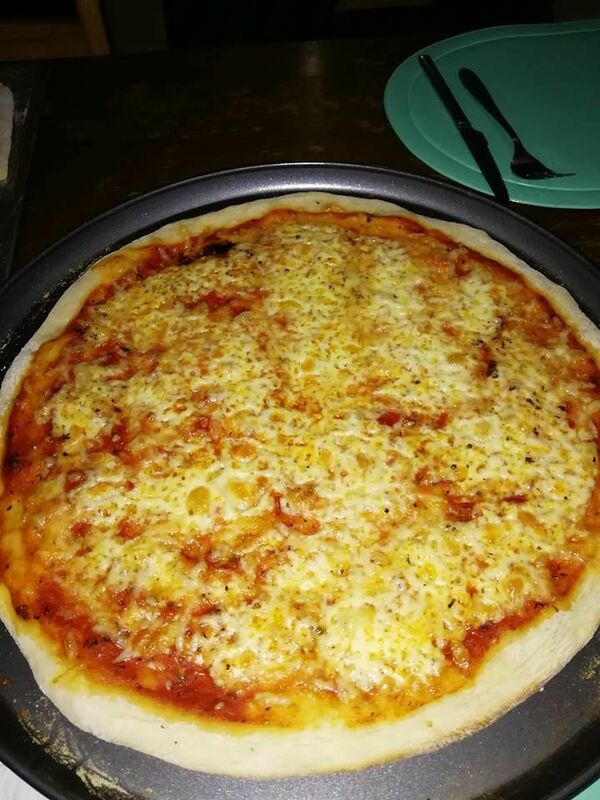 she likes the Australian Bega brand sharp cheddar and uses it in close to a 1-to-1 mix with the mozzarella as typically mozzarella by itself is sort of bland tasting. the parmesan she simply applies liberally over the pizza before baking. Easiest just to show up at your door around dinner time! Yum! You might want to try adding this to the dough recipe. i will ask her later tonite and i'm sure she will type it out here for ya. i know she makes it along with her pasta sauce from scratch.